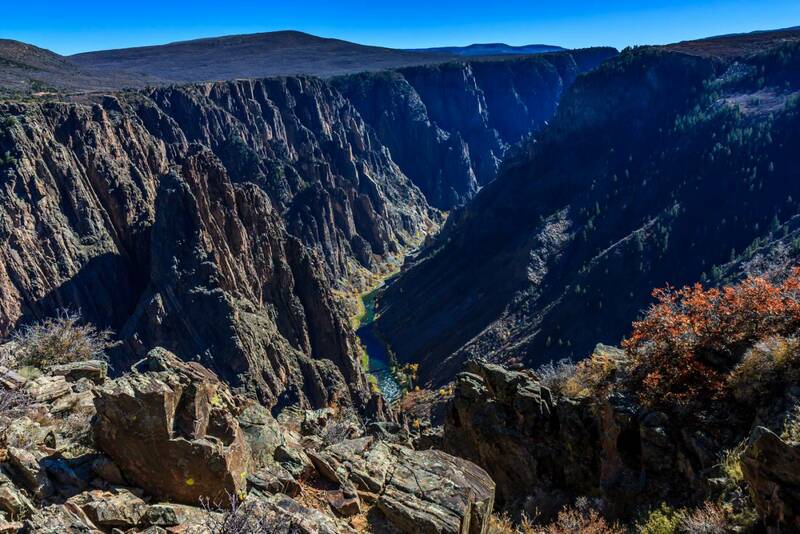 Black Canyon of the Gunnison is not one of our most famous national parks. It’s also one of our newest. It was promoted from national monument only in 1999. It wasn’t really on the way home. I had never heard of it, and it was’t the focus of my trip. It was just a way to add another park to my list without going too far out of my way. The park isn’t that big, and is divided into north and south rims. I was on the south rim, and getting to the north involves hours of driving, so I would be doing my exploration there. As a small, new park, there’s not a lot to do here. The park lacks the development of our older parks, which I think this is good. But that means there aren’t any long trails. There is a “route” down into the wilderness of the canyon, but the NPS is careful to avoid calling it a trail. The term wilderness is not an arbitrary one. After it became apparent that our national parks were being overdeveloped, congress passed the wilderness act in 1964, setting aside land to be free of development. To me, these are the best parts of our parks. There are no roads, trails, camp grounds, or strip malls. 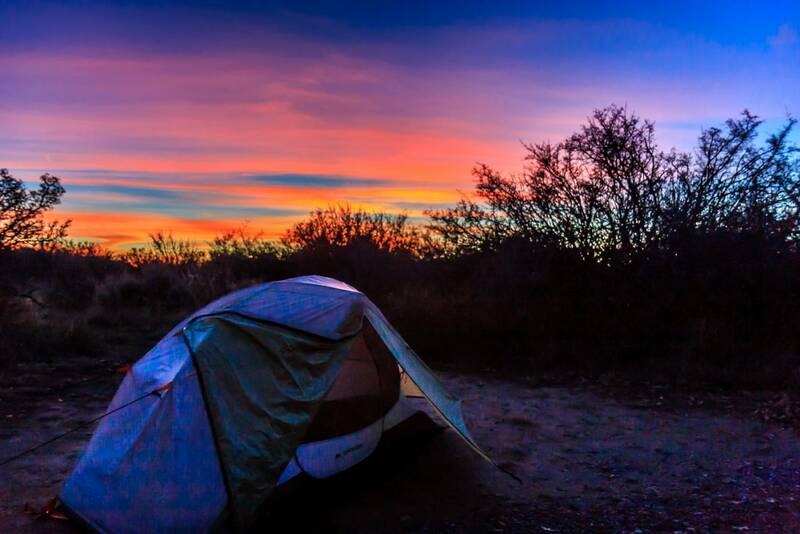 Exploring them means truly getting away from civilization. 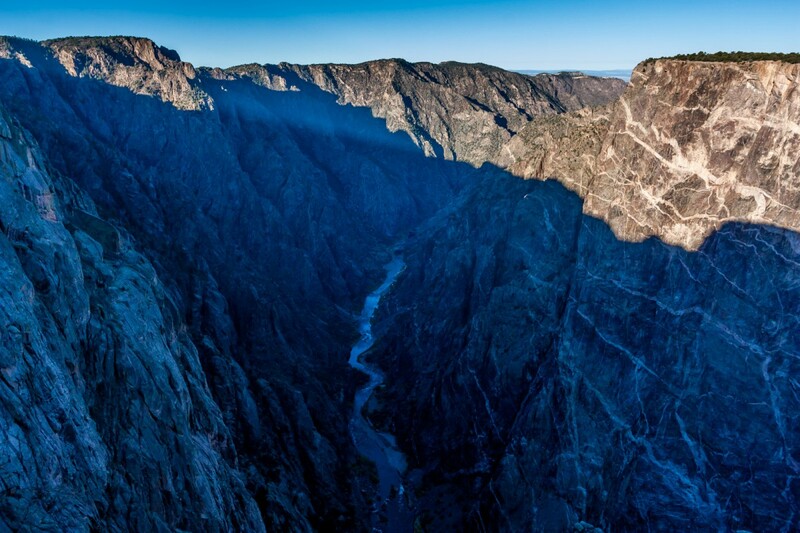 Going below the rim of Black Canyon means going into such a place. Careful preparation, gear, GPS, map, compass, and knowledge to use them would be required. At this point of my trip, I wasn’t up to such a big endeavor. I had done a lot of wilderness backpacking, but in this park I was content to just drive the rim road to the view points so that I could photograph the canyon. One day was enough time for this. I struggled with the photography. 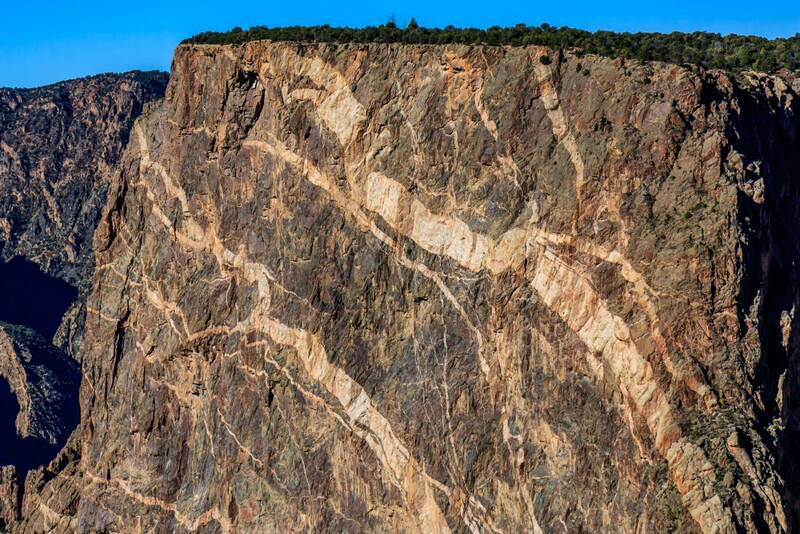 It’s called Black Canyon for a reason. Most of the time the canyon was dark. This was before I learned to set my camera’s exposure for the bright sky, so most of my pictures were overexposed. Photographing after sunrise and before sunset was especially difficult, when dark rock was right next to bright rock the sun was shining on. I did get lucky on a few shots. It was winter, and I had the place to myself. I think there were only two other cars in the $6 a night campground. But it was cold at night, down to 37 degrees. 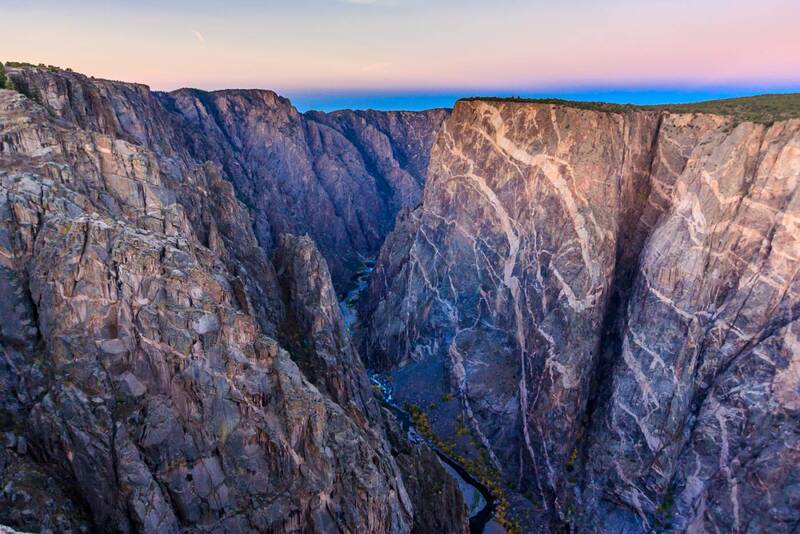 Black Canyon of the Gunnison was nice to see, but I was glad to be on the way home. One more park to go! I had the campground to myself.